< previous articleChinese New Year Goodies – Gong Xi Fa Cai! We often get caught in a sea of information about healthy eating and especially what’s the best for our children. The information on the Internet is confusing or misleading, and sometimes it actually does take a dietetic qualification to decipher certain things – Claudia Correia, Yourfamily.Kitchen contributor and Dietitian at the Raffles Hospital in Singapore helps us with that. 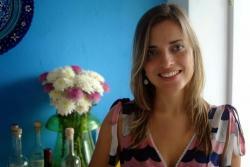 She does not only know about the Mediterranean diet but how to live it, since her childhood spent in Portugal. Part of UNESCO’s Intangible Cultural Heritage of Humanity, the Mediterranean diet is more than just olive oil and red wine. It is about family, and sharing meals with our loved ones. Claudia shares with us her insights. Joint family meals promote healthy eating habits in children and teenagers. They can minimize the risk of obesity and eating disorders, contributing to adolescents’ psychosocial health – many studies have shown that. Aren’t these factors part of everything that we want for our kids? Following a Mediterranean lifestyle is a question of sharing meals at the dining table – preferably without television, phones or any other distractions. The more joint family meals, the merrier. Plan these into your week, together with the recipes recommended by Claudia. The Mediterranean diet is primarily plant based. Meat and fish are included in the diet, but they are not necessarily eaten daily. It is beneficial to include regular vegetarian meals as part of a diet as they are rich in micronutrients and fiber, and contribute greatly to overall wellbeing and the health. Furthermore, recent studies show that plant-based diets improve heart health in overweight kids. Traditionally Mediterranean meals start with a vegetarian soup, typically providing plenty of vitamin C, potassium and dietary fiber whilst being low on calories. Potassium regulates and maintains the acid-base and water balance in body, and activates muscles and nerves. It may also help lowering blood pressure in case of hypertension. Eating soup is also a great strategy for those watching their weight. Because of the relatively largely volume and dietary fiber content, soups reduce the relative feeling of hunger and increase satiety. Consequently people will eat less throughout the day. As a result, regular soup eaters typically have a lower BMI and a better figure. There are many easy-to-prepare soups which can last a week when prepared in a batch. Our nourishing Zucchini Soup is also suitable for freezing and re-heating. As a main course, Claudia recommends the Greek-Style Halibut, with a perfect nutrient combination for the whole family. Studies show that consumption of fish is conducive to good health. This dish is prepared with halibut, a low calorie fish; chickpeas, as the alternative to rice or potatoes; and tomato and fennel to complete the vegetable serving. Tomato is well known to be rich in lycopene, a powerful anti-oxidant that eliminates dangerous free radicals that may damage DNA and other cells components. This may help prevent cardiovascular diseases and cancer. This anti-oxidant may also protect the skin from solar UV radiation, and premature aging. When consumed in its processed forms such as canned tomatoes, lycopene is more bioavailable and readily absorbed than in fresh tomatoes. For those who are interested to incorporate in their family diet vegetarian dishes, the Cavatappi with Spinach, Garbanzo Beans and Feta is a delicious and nutritious choice. One of the ingredients of the dish is spinach, which is a rich source of antioxidants: it has an average of more than 240mg of 14 different polyphenols for each 100g. In addition, it is also a good source of folic acid. Folate is important for the normal formation of red blood and other cells; in pregnancy it prevents neural tube defects. Folate is a vitamin that is easily destroyed by heat so having the spinach raw will help to preserve it. Garbanzo beans and feta will not only contribute with its delicious flavor but also with the protein content of the dish. To make this dish even healthier use low fat feta cheese and you will be decreasing its saturated fat content.